The ALICO building stands 22 stories tall at the corner of Austin Avenue and 5th Street in the center of beautiful downtown Waco. 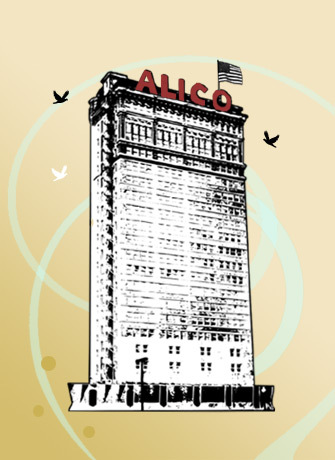 Once the tallest building in the southwest United States, the ALICO Building symbolizes stability and strength. © 2019 American Amicable. All Rights Reserved.